Lots of people I work with tell me they have a healthy diet and move their body. If this is the case it HAS to be down to portion size! Who remembers ‘wagon wheels?’ they used to be huge!!!! If someone had offered me a ‘bottomless drink’ a few years back I would have wandered what they were talking about. 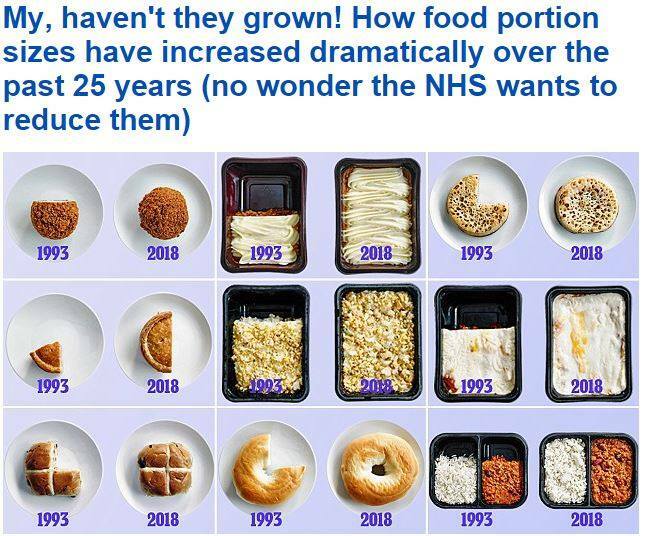 Remember, the good way to get portion sizes under control is to buy a ‘portion plate’ OR remove 30% of your dinner to a seperate plate and if 20 minutes after finishing the first lot you’re still hungry, go back and get the second portion.